Top 10 criminal dramas of 2012 | Russian Legal Information Agency (RAPSI). 2012 has left us with no shortage of criminal drama. In a year replete with momentous judgments, epic downfalls, political intrigue, and revolutionary aftermaths, RAPSI struggled to pick just ten events to highlight. Still, we have chosen the ten judgments that – in our view, and in no particular order – best illustrated 2012’s criminal legacy. Please note, we have excluded cases that occurred primarily within Russia, as those called for a list of their own. About half past 3pm local time on July 22, 2011, a car bomb exploded outside of a government office complex in downtown Oslo. The blast killed eight and injured 30. Shortly thereafter, about 5pm local time, Anders Behring Breivik arrived at Utoya Island, where the ruling Labor Party government was hosting a youth summer camp. At the time of Breivik’s arrival the island was brimming with young adults – about 700 of them, ranging in age from 14 to 25. Breivik then opened fire, launching into a killing spree that would last unabated for nearly 90 minutes, before the police would arrive. The massacre left 69 dead and 66 wounded. Breivik never denied his responsibility for the twin attacks that left a total of 77 dead in Norway. In fact, he readily and unabashedly admitted to having carried out the murders. Still, he refused to plead guilty to any of the crimes he was charged with in connection with the massacres, claiming he had acted in self-defense. In the mind of the 33-year-old Norwegian, the sanity of which played a central role in the proceedings against him, the killings were necessitated by what he perceived as the threat to Norway of multiculturalism. Accordingly, he sought acquittal. In rendering Breivik’s guilty verdict, the judges considered the defendant’s sanity by considering two separate psychological analyses that had turned up different results with regard to his sanity. The key issue with Breivik’s mental health was that of determining whether his militant devotion to white supremacy was truly psychotic, or whether it was mere extremism. Psychoanalysts who had carried out the two examinations differed with regard to whether the beliefs that had prompted his killing spree were delusional. 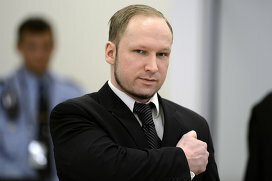 After comparing both sets of findings, the judges determined that while Breivik’s beliefs were unconventional, they were reflective of white supremacy movements present throughout Europe. Because there are so many others who share his beliefs, the judges attributed them to political extremism, thus finding that he was mentally sound when carrying out the attacks. Based on this finding, the court sentenced him to 21 years in prison through the “preventative detention” option, which stipulates the option of a sentencing extension if he is found to pose a continued threat to society. By including a profound amount of detail into Breivik’s mental state, the court crafted its judgment in such a way so as to ensure that in considering his release in later years, prison officials will be unlikely ever to grant his release. Mass killings have devastated countries around the world in recent years, and a determination of sanity often bears important and difficult implications in any such case. The Norwegian court’s determination that Breivik’s mania was more the product of right-wing extremism than of true insanity served truly to assign blame. To the contrary, a declaration of insanity would have taken a cut at the sense of Breivik’s personal responsibility for the killings. Victims can thus rest assured that the man who caused so much pain and devastation has truly been held to account for his actions. At the same time, the court found a way to ensure that Breivik will remain isolated from the general population for as long as possible. Many other countries currently dealing with their own mass killers, such as Russia in dealing with Dmitri Vinogradov AKA the “Russian Breivik,” or the US in dealing with movie theater killer James Holmes, can take heart in sorting out their own insanity defense options. Wikileaks founder and chief editor Julian Assange has remained in hiding in Ecuador’s London embassy since June based on the leap of logic that if he were to be extradited by UK authorities to Sweden, he could face the death penalty in the US. Assange has gained international notoriety in recent years for having exposed scores of sensitive and secret documents via his website Wikileaks. The present saga began, however, when the British Supreme Court upheld in May an order to extradite Assange to Sweden, where he is sought for questioning in connection with alleged sexual offenses. 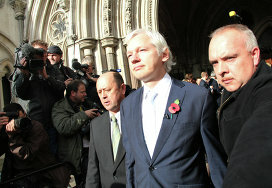 After having lost his final shot at the UK shielding him from Swedish justice, Assange applied for asylum in Ecuador. Ecuador in turn agreed to the asylum grant based on concerns that Assange might ultimately face the death penalty if extradited to the US. Herein lies the leap of logic. If convicted in the US under the 1917 Espionage Act on the basis of his Wikileaks work, Assange could face capital punishment. However, the UK only wanted to extradite Assange to Sweden to face sexual offense allegations, not to the US to face espionage charges. In fact hypothetically speaking, even if Assange were extradited to Sweden, and if while he were in Sweden the US were to issue an indictment and seek his extradition, Sweden would actually be proscribed under the European Convention of Human Rights from extraditing Assange if he could potentially face capital punishment there. The European Court of Human Rights addressed this point specifically in the 1989 judgment Soering v. United Kingdom, where the court held that the UK would be deemed to have violated Article 3 of the Convention – which prohibits torture and inhuman and degrading treatment – if it were to transfer a person to the US, where he may realistically face the death penalty. Thus if it is ultimately requested, Assange’s extradition from Sweden would only be legally feasible in the context of US assurance that capital punishment would be absolutely off the table. Still, Assange has managed once again to do what he does best: create a massive diplomatic incident. Dominique Stauss-Kahn, better known to many as DSK, has built up a reputation over the years for being a legendary ladies’ man. Professionally speaking, this never seemed to hold him back until a 2011 encounter with a chambermaid in a New York City hotel room brought his abrupt and dramatic downfall. Hotel maid Nafissatou Diallo accused DSK of having forced her to engage in sexual contact in his room at the Sofitel New York Hotel. 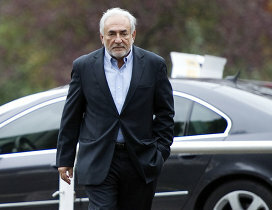 Strauss-Kahn pleaded not guilty, claiming that any such contact between the two of them had been consensual. As he attempted to return home, DSK was removed from his Paris-bound flight in New York shortly before takeoff on May 14, 2011 and arrested based on the allegations. 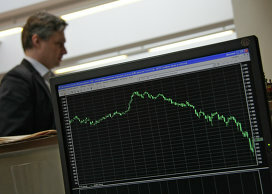 He stepped down from his position at the helm of the IMF less than a week after he was arrested. He had been widely expected to run on the Socialist ticket during France’s most recent presidential elections, but announced his decision not to run in the aftermath of his arrest. In the weeks that followed, Diallo’s credibility began to draw skepticism as it emerged that she had lied to authorities when seeking refugee status, as well as to tax and social security officials. She even admitted to having lied to a grand jury about the events surrounding the alleged attack. In August of that year, the Supreme Court of New York announced its decision to close the case, citing a lack of credibility on Diallo’s part. Apparently dissatisfied with this outcome, Diallo launched a civil claim, which was settled in the Bronx Supreme Court in mid-December of this year, finally closing the door on the drawn out legal battle. In the minds of many, any mention of the Sierra Leone conflict conjures brutal images of innocent civilians with hacked off limbs, young boys with blank stares clutching AK-47s, and other such unspeakable horrors. The campaign of terror waged by the Revolutionary United Front (RUF) throughout the 1990s in Sierra Leone has scarred an entire nation and has stained the conscience of an international community that failed to adequately intervene when these atrocities were at their worst. While the years of bloodshed cannot be reversed, some comfort can be found in the efforts of both the government of Sierra Leone and the international community to fight against impunity and to exact justice on the perpetrators of these crimes. Toward that end, a major victory was achieved on April 26 when the Special Court for Sierra Leone (SCSL) held former Liberian president Charles Taylor guilty for aiding and abetting in the commission of 11 acts of war crimes, crimes against humanity, and serious violations of international humanitarian law. In so holding, the SCSL made clear that no one – not even heads of state – can expect immunity from prosecution for violations of international criminal and humanitarian law. That day in late April, it all paid off. Years of adjudication carried out by the joint efforts of the government of Sierra Leone and the international community led to the conviction of a head of state for aiding and abetting acts that have devastated a nation. Politics were an inevitable byproduct of the proceedings by virtue of their despicable roots. However, both sides of the trial agree that the defendant was afforded due process and that the proceedings were in line with the international standards of human rights. Ultimately, a tyrant is behind bars and an invaluable precedent has been set: no one is immune to international justice. Viktor Bout was sentenced in April to 25 years in prison on charges of having conspired to sell weapons to the Revolutionary Armed Forces of Colombia (FARC) with the understanding that they would be used to kill Americans. Bout, perhaps better known to most Americans as the “Merchant of Death”, was arrested in a sting operation carried out in Thailand by US Drug Enforcement Agency officials. One man’s conversationalist is another man’s Merchant of Death. When asked how Bout’s US trial was legally viable in the first place, transnational criminal defense attorney and international extradition expert Douglas McNabb explained to RAPSI that the US takes a highly aggressive approach to prosecuting extraterritorial crimes. In fact, the US Supreme Court has held that the extraterritorial kidnapping of a suspected criminal by government officials will not in itself compromise the jurisdiction of US courts over a given case. That is, federal agents can forcibly remove a wanted individual from a foreign country and bring him or her to stand trial in the US, so long as the extradition treaty the US shares with said foreign country does not expressly prohibit the kidnapping of extradited individuals by government officials. As far as Bout is concerned, McNabb went on to explain that the sting operation that led to Bout’s arrest in Thailand “really [wasn’t] a true entrapment… it’s ok [under US law] for US officials to set up a case that invokes jurisdiction… what we’re seeing is a manufacturing of jurisdiction.” However, as explained above, this manufacturing of jurisdiction is legitimate under US law. It is thus clear that Bout’s arrest, extradition, detention, and trial were legitimate under US law. Still, the very fact of this legitimacy has launched this case into politically and diplomatically divisive territory that continues to drive a wedge between Russia and America. In the meantime, Russia's Foreign Ministry has vowed to continue fighting for Bout's extradition, declaring, "We will not drop the case; we will do all we can for Bout." Citing what he understands to be the obligations of states party to the Council of Europe's Convention on the Transfer of Sentenced Persons, Foreign Ministry human rights envoy Konstantin Dolgov referred to America's refusal to extradite Bout as a gross violation of international law. A more controversial example of justice faced by a former head of state in 2012 can be found in the trial of Hosni Mubarak, the former president of Egypt whose three-decade rule ended as the result of a bloody Arab Spring uprising in early 2011. Upwards of 800 people were killed during the course of the protests that derailed Mubarak’s rule, including many protesters who were fired on by security forces. The uprising lasted from January 25 to February 11, 2011, at which point Mubarak resigned the presidency. Egypt’s Supreme Military Council, which assumed control of the country following Mubarak’s resignation, promptly ordered an investigation into the protester casualties that occurred during the uprising. The fallen leader was then charged alongside his two sons with abuse of office, corruption, and in connection with the deaths of protesters during the winter uprising. His plea of innocence proved to be of little avail when he was held responsible for the protesters’ deaths and sentenced to life imprisonment on June 2, 2012. It could have been worse for him; earlier in the year prosecutors had sought the maximum penalty: death by hanging. In the immediate aftermath of the sentence, the state of Mubarak’s already fragile health took a dramatic turn for the worse. He suffered a heart attack in the immediate aftermath of his sentencing. 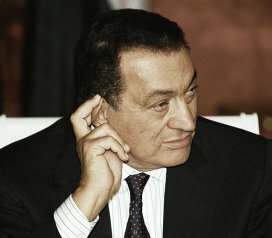 On June 20, he reportedly suffered a second heart attack and a stroke, at which point media outlets around the world broadcasted unconfirmed reports that Mubarak was announced clinically dead. On July 16, local Egyptian media reported that Mubarak was transferred from the hospital back to prison in order to serve out his sentence after his condition notably improved. Rising political star Bo Xilai’s abrupt fall from grace came at what at least for him was probably the worst possible time in terms of his career aspirations. The man who had formerly been tipped as the future leader of China became a political pariah in the months leading up to China’s once-in-a-decade change in leadership as his wife became implicated in the poisoning death of British businessman Neil Heywood. According to details of the case released by Chinese state media outlet Xinhua, Heywood’s body was discovered on November 15, 2011. The investigation into his death fell under the purview of officials closely connected with the Bo family. On-the-scene investigators at the time highly suspected Bogu Kailai of having committed the offense, and of then having covered up the evidence. The officials in charge, however, opted to list alcohol as the cause of death, and promptly had the body cremated before an autopsy could be performed. Eventually, the Ministry of Public Security learned of the potential cover-up and launched a new investigation, establishing this time around that Heywood had been murdered and listing Kailai and her accomplice as prime suspects. In March, the two were placed under residential surveillance. The investigation wrapped in July and an indictment was issued shortly thereafter. Bogu Kailai was charged with having worked with an accomplice to poison British businessman Neil Heywood. The poisoning was alleged to have been motivated by Bogu Kailai’s concern for her son’s safety. These concerns arose from conflicts Heywood had with the Bo family over “economic interests.” Bogu Kailai was charged as the principle, and her accomplice as an accessory. At the start of proceedings, both defendants pleaded guilty to intentional homicide. In her closing statement, after affirming the veracity of all facts charged in the indictment, Bogu Kailai attributed her actions to a “mental breakdown” she had suffered upon learning that her son’s safety may have been in jeopardy. She then proceeded to heap praise on her country and the court, pleading in turn for a reasonable sentence: "The case has produced great losses to the Party and the country, for which I ought to shoulder the responsibility, and I will never feel at ease. I am grateful to the humanitarian care shown to me by those who handled the case. I solemnly tell the court that in order to maintain the dignity of the law, I will accept and calmly face any sentence and I also expect a fair and just court decision." On August 20, Bogu Kailai was handed a suspended death sentence. Bo Xilai’s career toppled during the course of the proceedings and their aftermath. 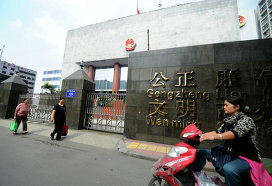 At the start of proceedings against his wife, he was stripped of his position as Communist Party chief in Chongqing. He was demoted from the Chinese Politburo after Bogu Kailai was named as a prime suspect in the case. In late September, China’s Communist Party voted to revoke his membership and expel him from public service based on “severe disciplinary violations,” allegations of which were then transferred to judicial authorities. In the final act of his political undoing, in late October he lost his seat in China’s top legislative body, the National People’s Congress. Needless to say, the country’s once-in-a-decade change in leadership went forward in November without Bo Xilai, and it is entirely possible that the investigations currently pending against him will serve as fodder for RAPSI’s 2013 criminal case list. The International Criminal Court (ICC) is the world’s first permanent, treaty-based war crimes tribunal. The past century has seen a plethora of temporary sollutions: from Nuremburg, to the ad-hoc tribunals for Rwanda and the former Yugoslavia, to the hybrid tribunals for Sierra Leone, Cambodia, and Lebanon. While these models differed from one another in many important ways, they all shared the quality of being limited in terms of temporal and geographic jurisdiction. 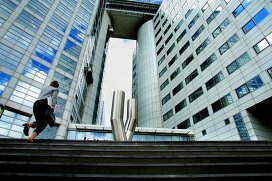 The ICC was established by way of the Rome Statute with the aim of ending impunity for those responsible for some of the world’s worst crimes, including war crimes, crimes against humanity, and genocide. Thus its first judgment was an enormous milestone for international criminal law; the dawn of a new era of sorts. At the center of this first case was Thomas Lubanga Dyilo, former president of the Union of Congolese Patriots (UPC), a political group, and commander in chief of its military unit, the Patriotic Force for Congolese Liberation (FPLC). He was indicted on charges of having conscripted and enlisted children under the age of 15 and of having used them to actively participate in combat between September 2002 and August 2003, during the course of an ethnic conflict for control of the Democratic Republic of Congo’s Ituri province. During the contested period, the UPC retained control of the province, but remained embroiled in battle with other military forces. Children who joined the FPLC, whether by choice or by force, were sent to harsh military training camps, where they trained to be used ultimately either as personal bodyguards for Lubanga and other high-ranking officials or as soldiers in combat. In July 2012, Lubanga was sentenced to 14 years in prison, minus time served. 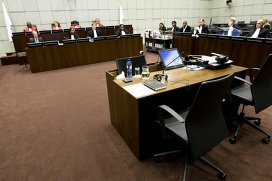 He is currently serving out his sentence at the Detention Center in The Hague. 2012 has been a big year in court for Italy’s eccentric former prime minister Silvio Berlusconi. He was sentenced to four years in prison in late October on a tax fraud conviction, and is currently standing trial based on allegations of having cavorted a bit too closely with under-aged prostitutes. To his credit, a separate set of corruption charges launched against him earlier were thrown out by a court in February 2012. The under-aged prostitution scandal centers on a young dancer known popularly as Ruby the Heart-stealer. 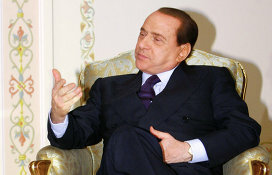 76-year-old Berlusconi is alleged to have given Ruby gifts and money in exchange for her intimate companionship. She is believed to have attended some of Berlusconi’s legendarily debauched bunga-bunga parties as well. In court, Berlusconi declared, “I never had intimate relations with Ruby,” noting however that he had leant the young lady money to open a beauty salon at a time when he believed that she was over 18. Berlusconi further denied the existence of bunga-bunga parties, writing them off as a product of the media’s overactive imagination. According to him, the rumors started when a joke he made was overheard. As for the tax fraud charges, Mediaset, a media outlet owned by Berlusconi, acquired the rights to foreign films using shell companies, ultimately allowing it to evade tax payments by way of false accounting and financial reports. While Berlusconi was convicted and sentenced to four years in prison, his sentence was reduced to one year based on a 2006 amnesty law aimed at reducing Italy’s prison populations. Not one to be kept down, the phoenix that is Silvio Berlusconi has every intention of rising from 2012’s legal ashes, having declared in early December his intention to run once again for prime minister in the country’s February elections. When UBS trader Kweku Adoboli was arrested in September 2011 for going rogue and ultimately amassing losses to the bank in excess of $2 billion, he was at the top of his game. Young, handsome, charming, and well educated, Adoboli had been seen as a rising star within UBS. No one but him could have foreseen the drama and ferocity with which his career would soon come crashing down. By engaging in a series of rogue trading practices, including – in the words of the Crown Prosecution Service – “breaking the rules, covering up and lying,” Adoboli accrued actual losses amounting to $2.25 billion. Adoboli was convicted by a jury in late November on two counts of fraud, and was acquitted on four counts of false accounting. In the judge’s view, the latter acquittals were likely due to the jurors’ lack of confidence that Adoboli’s fictitious trades were primarily aimed at personal financial gain, rather than to their lack of confidence that the fictitious trades at issue may have been honest mistakes. In his sentencing remarks, Justice Keith made clear his belief that Adoboli hadn’t intended to cause the bank any losses, let alone $2.25 billion worth of losses, and that in fact Adoboli’s primary motivation was that of maximizing the bank’s trade profits. The judge explained that any selfish motives such as Adoboli’s desire to advance his position within the bank, or to earn a hefty bonus for being a brilliant trader, were secondary to his goal of increasing UBS’ profits. 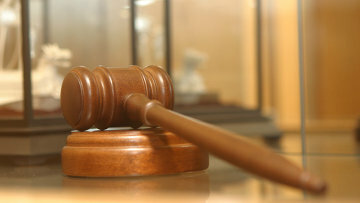 Still, the judge told Adoboli, “the loss arose out of the way you were trading, and you knew that the way you were trading would inevitably expose the bank to the risk of huge losses.” He was sentenced to seven years in prison, with eligibility for release under certain terms after half of that.